One night Toscanini dreamed he was conducting an impossible Orchestra, filled with instruments that had never been invented, making sounds that could never be heard. Participants make any instrument they can imagine and then play it as part of Toscanini’s dream orchestra. 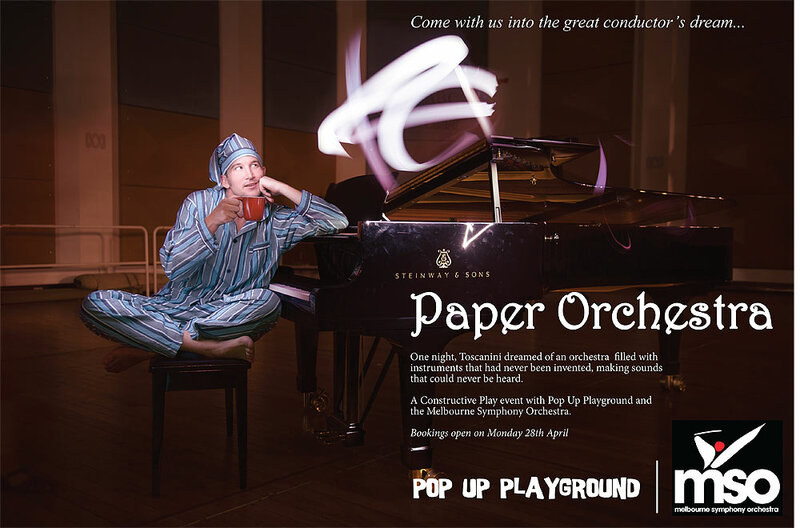 Lead by internationally recognised craftivist, Sayraphim Lothian and eminent Australian conductor, Richard Gill, Paper Orchestra is a playful crafting event in which participants make their own paper instruments and then play them alongside the musicians of the Melbourne Symphony Orchestra.